Welcome to Tea For Two-sday! Hope your week is starting out well. This is your chance to pour a cup of tea and relax for a bit. 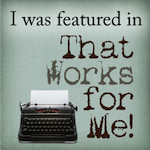 I'm talking about DaySpring again! You've seen the pretty teapot and teacup and the tea-for-one set. Today is about notecards. I love DaySpring cards! I've been buying boxed sets of their cards from the Christian book store for many years. 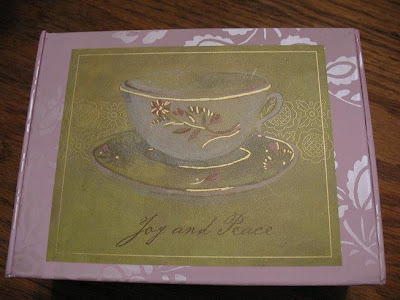 And now they even have tea-themed cards! 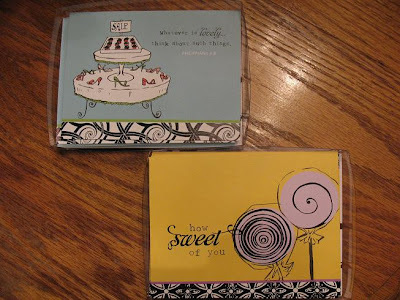 I received these really cute cards from the Sassy & Sophisticated line - they are so fun! And look at this pretty box for tea cards! Inside the box there are 2 designs of elegant notecards. Guess what? I am giving away the tea box of cards (you might have to pry them from my hands, but I'm sure you're stronger anyway)to one random winner!! To enter, stop by DaySpring and look around at the cards. Leave me a comment and tell me which ones you like! I will draw one random winner on Monday 5/18 and announce on Tuesday 5/19. That's it for today! You can stay right there and finish your tea though. 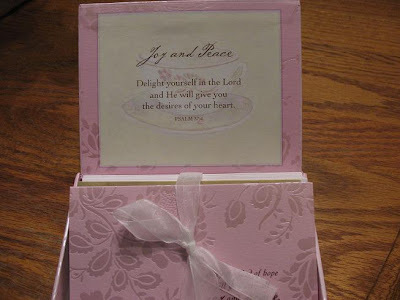 Do you use DaySpring cards? Do you like tea-themed cards and stationery? And did you know that DaySpring even has wonderful free e-cards? Have a lovely day and a blessed week! P.S. 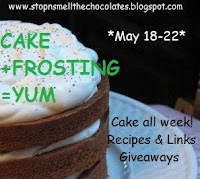 My Cake Week will be starting here next Monday! Don't miss out on the fun! Here's the button to grab to spread the word. Thanks! Here let me solve your problem. I like the first picture best. You know, the one on top, because you can read it better and I like the tea cup note cards best so just hand them over.Phew! We good? Good! Big Eatin' cake all week size hugs to you my sweet friend. 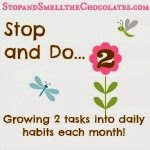 love the note cards, love dayspring-I send their e-cards all the time because it's fast, easy and no paper is used (I'm kind of passionalte about recyling), love your word plays, love your blog, I read the name and I think I smell chocolate?! Well, I gotta say I was most drawn to the Sassy & Sophisticated line. But I also really like the Colors of Compassion blank cards as well. I'm gonna go dig up some cake recipes now! I liked the Thinking of You - Encouragement set. I like the varied colors with the trees/leaves on the front. I'd love to win your giveaway. Yes, I use cards alot, but since my daughter sells her own cards, I feel badly buying from a store and seldom go to a shop to buy cards. I really like the fact that DaySpring is a Christian run company. I use them for the e-cards mostly, but I think my favorite things are the tea ware. I love Day Spring boxed cards. We buy tons of them here at the church I work out to send our people on their birthdays, get well cards, and encouragement cards. You can't beat them for Christian themes and artwork, and price! I would like some of those Sassy & Sophisticated Encouragement Notecards. I love Dayspring cards! I also use their e-cards all the time! My favorites are the All Occasion boxes. I'm so bad with remembering to buy cards, so I love to buy boxes of them that have one for just about anything. 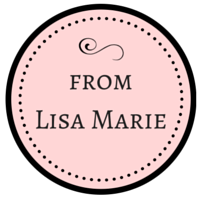 I have always loved stationery and enjoy sending cards to friends and family. The Sassy and Sophisticated line is new to me but right up my alley!